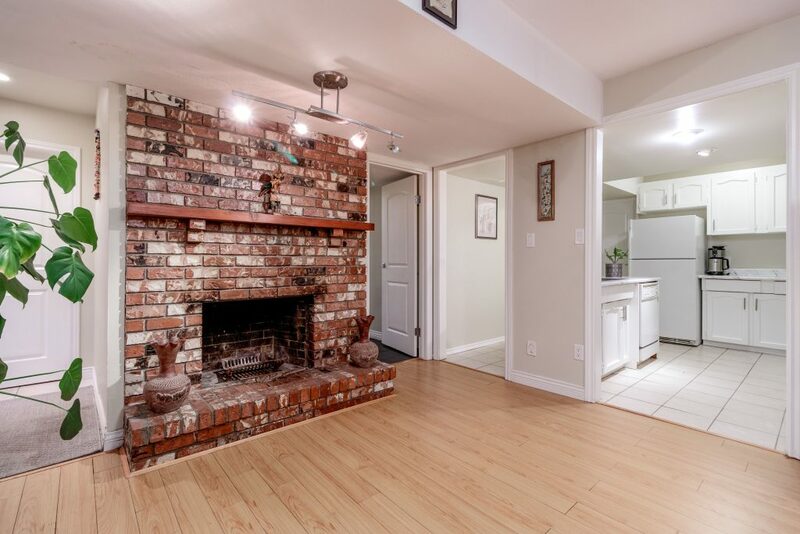 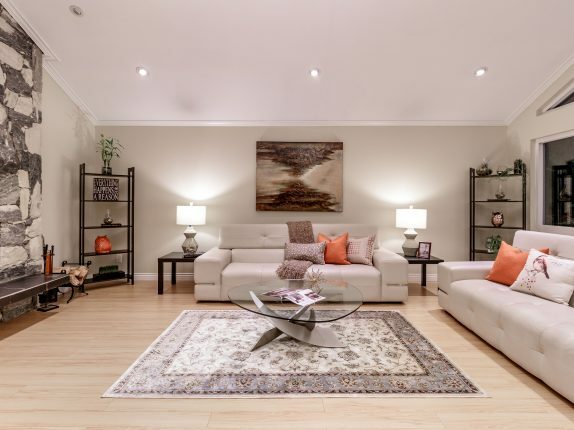 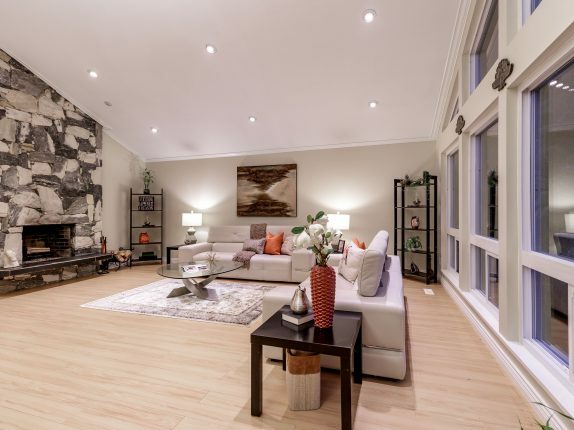 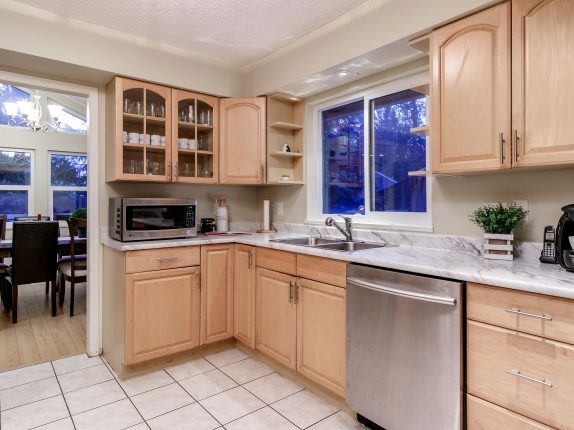 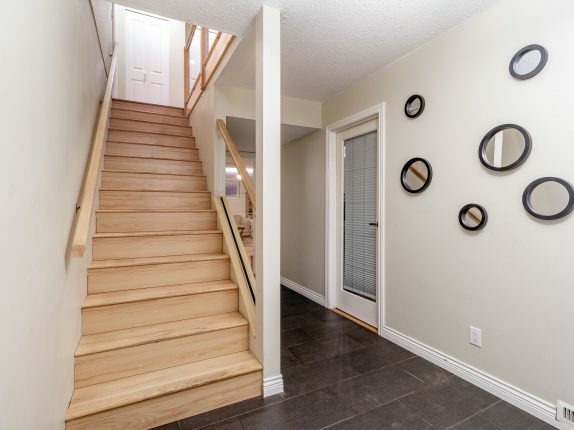 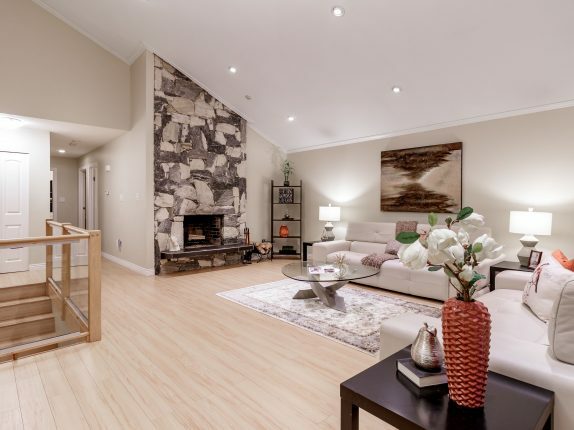 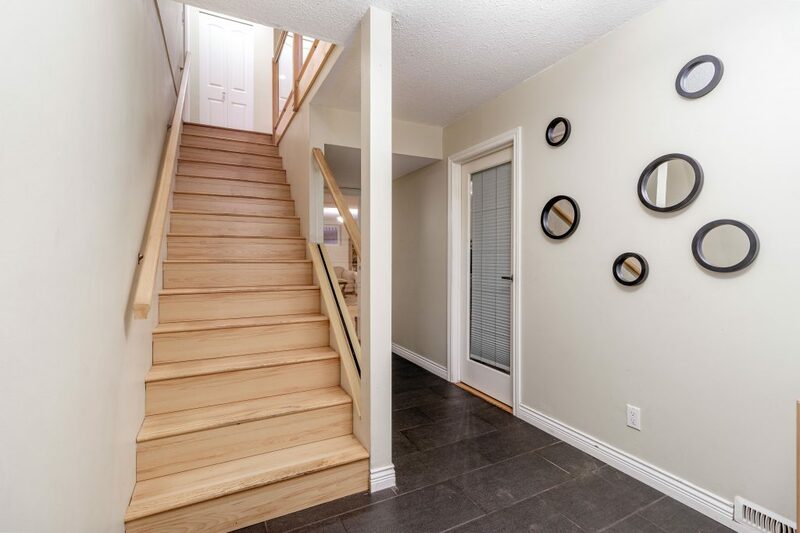 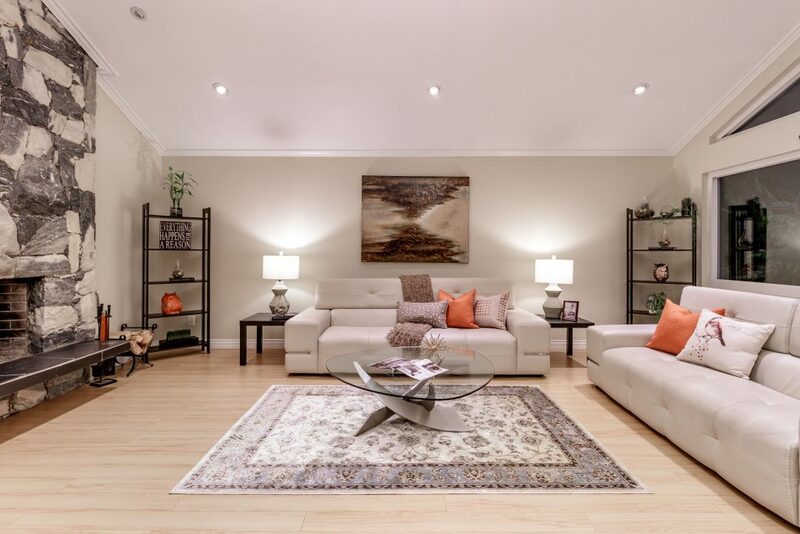 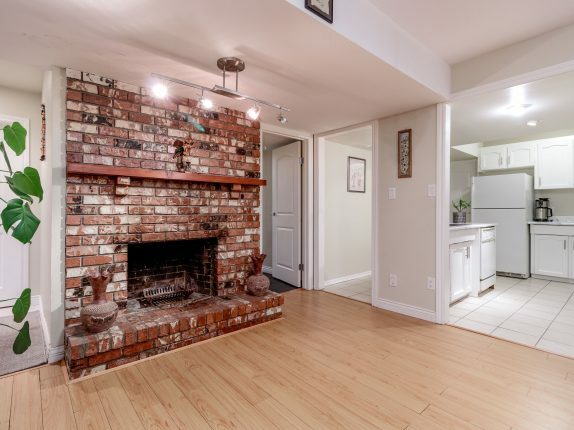 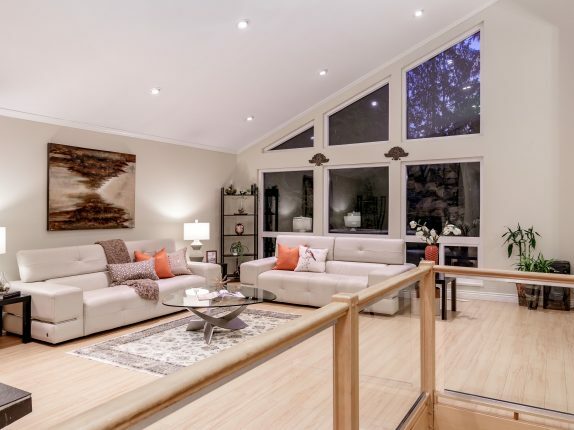 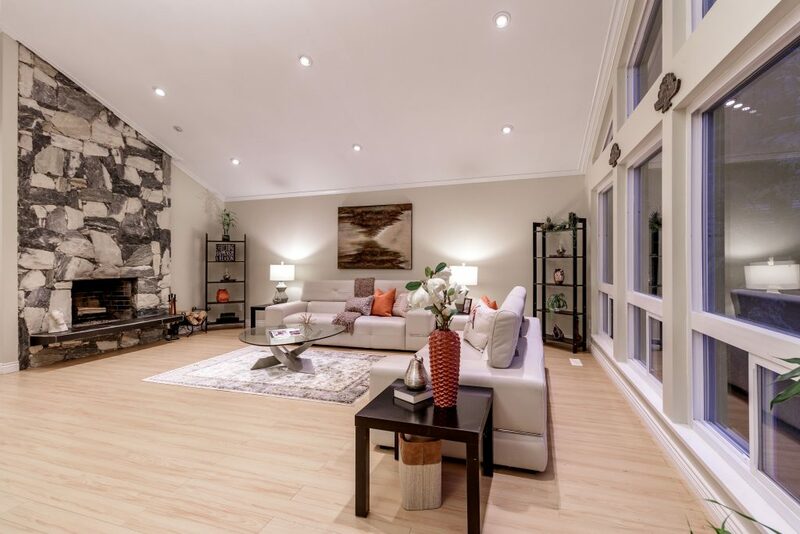 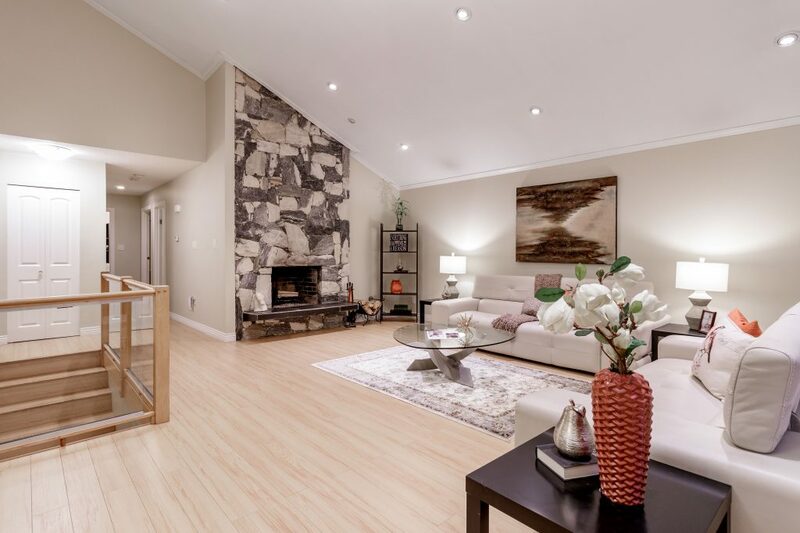 Welcome home to this is light-filled family home set on a quiet, family-friendly cul de sac. 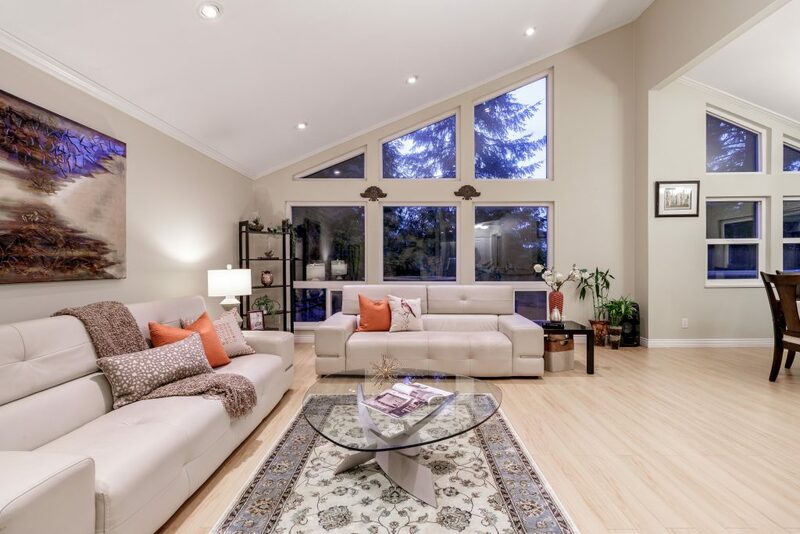 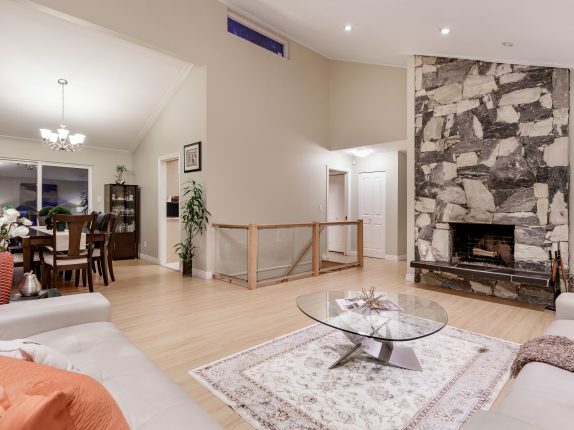 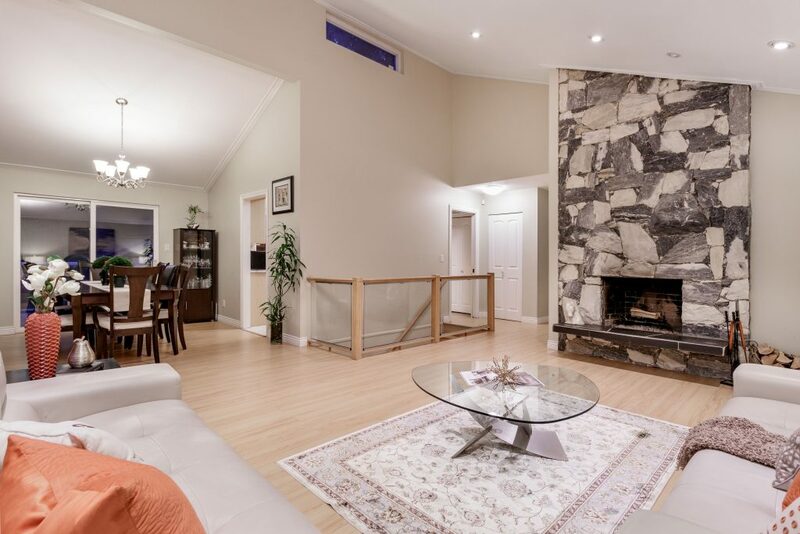 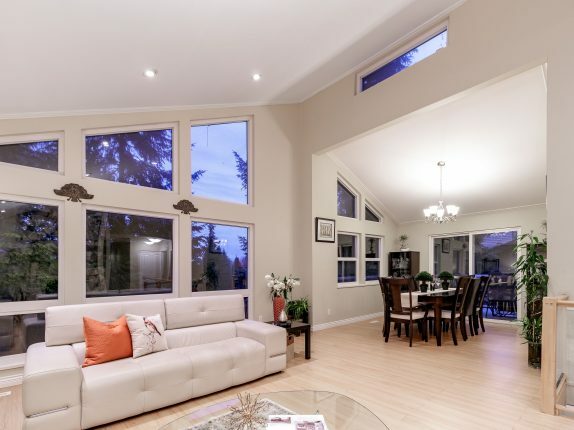 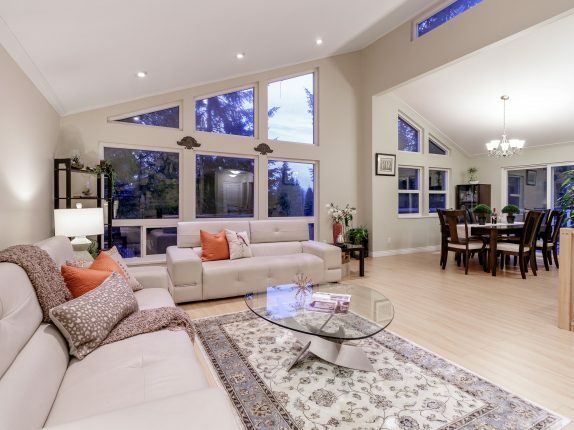 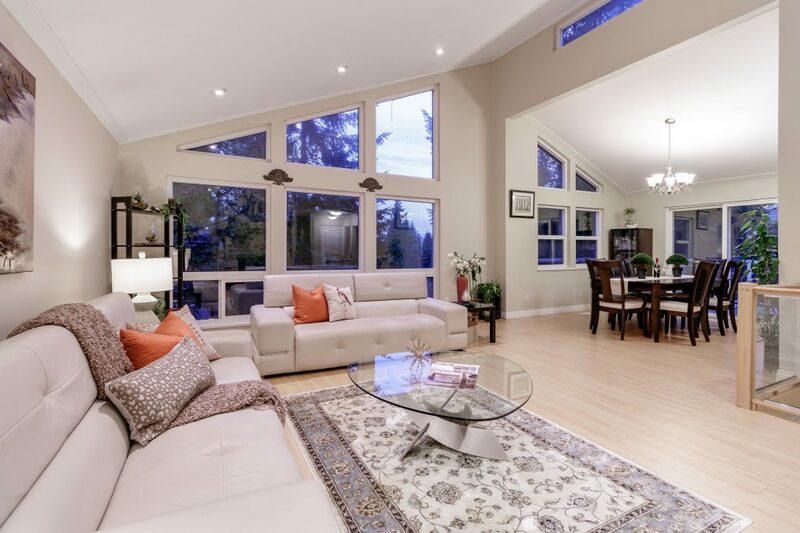 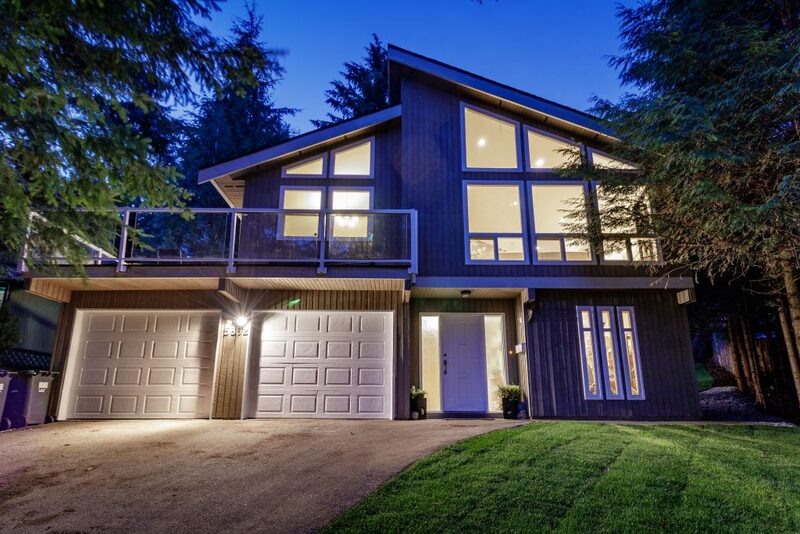 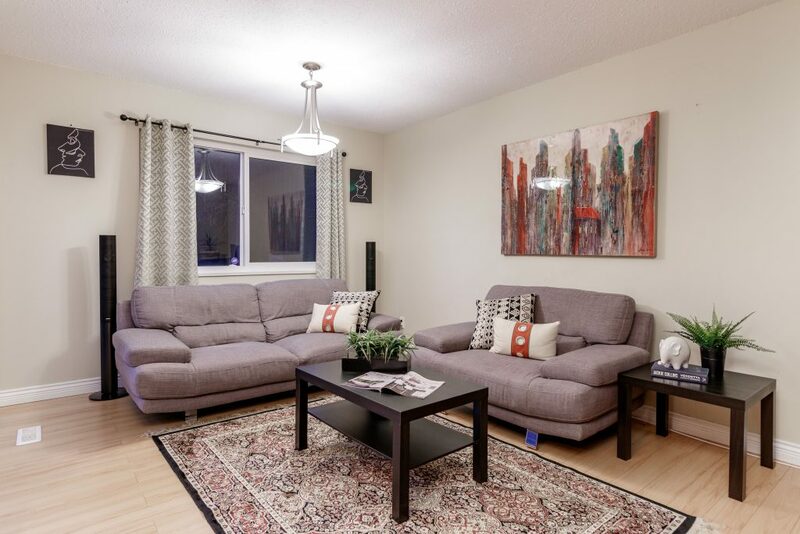 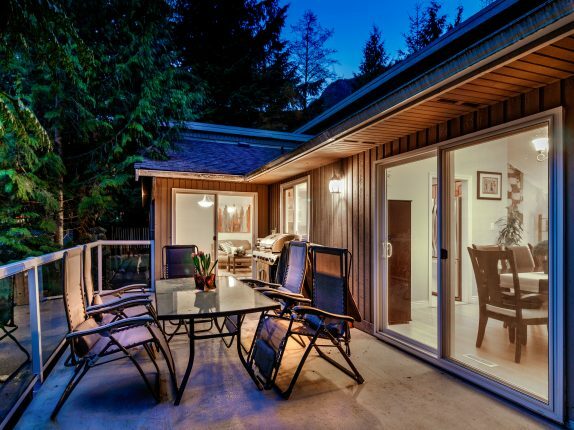 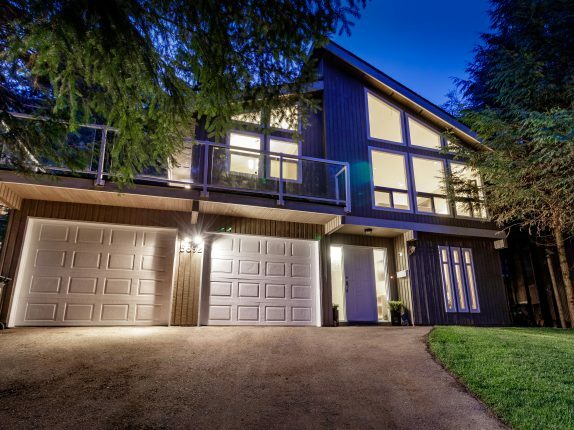 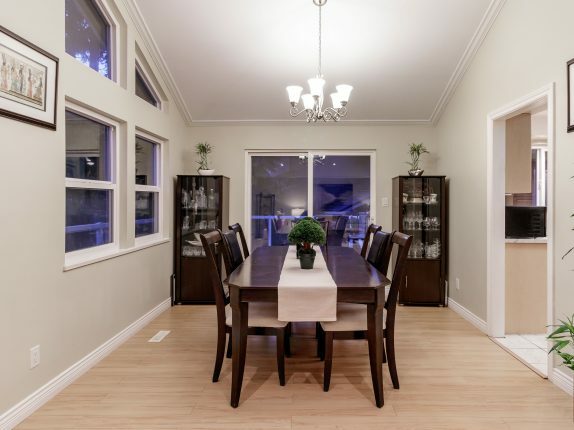 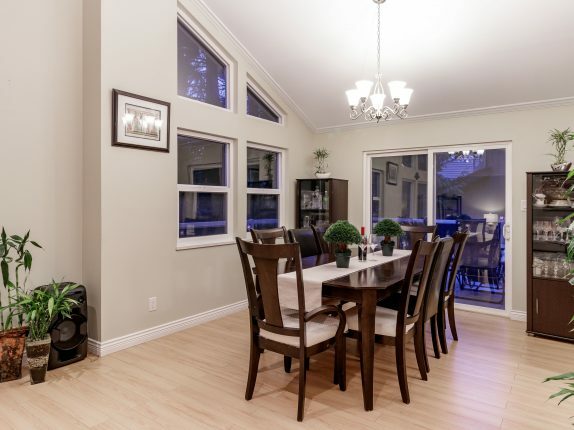 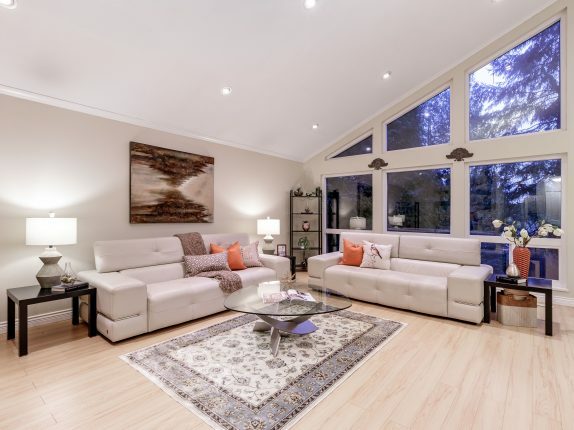 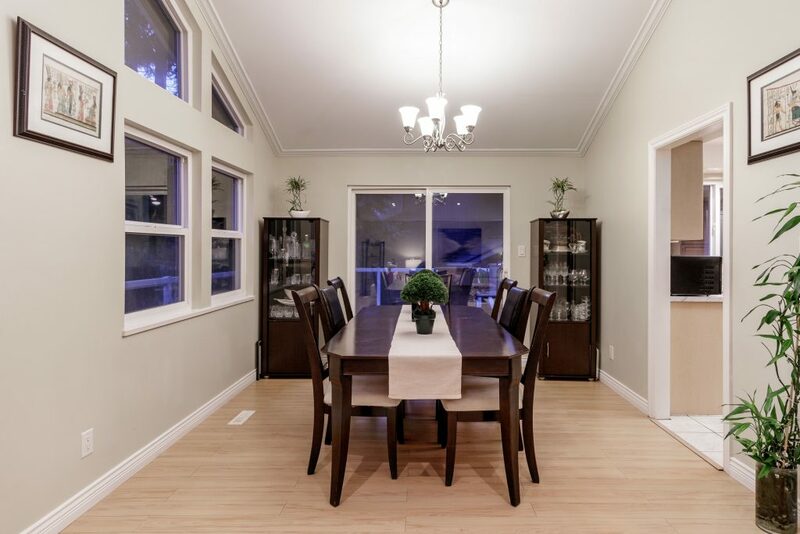 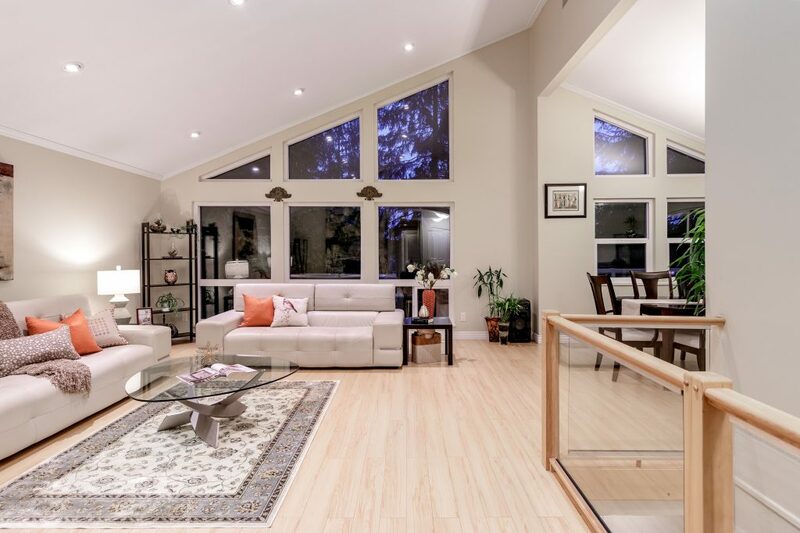 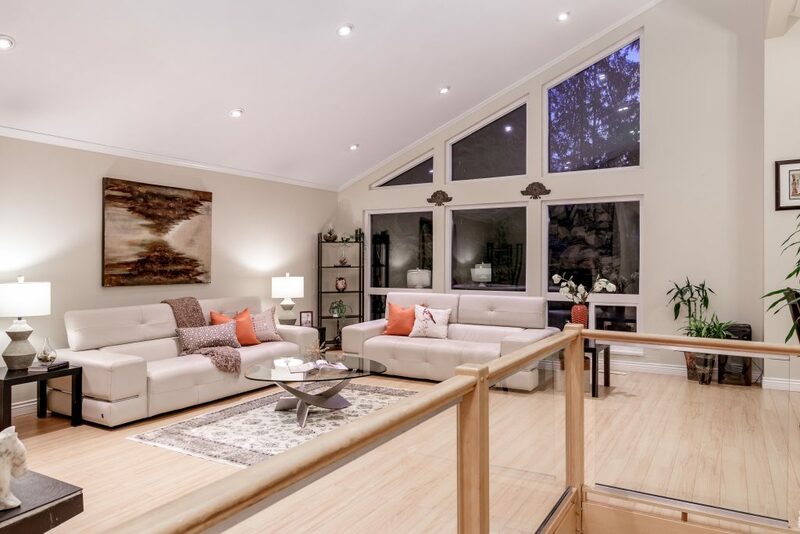 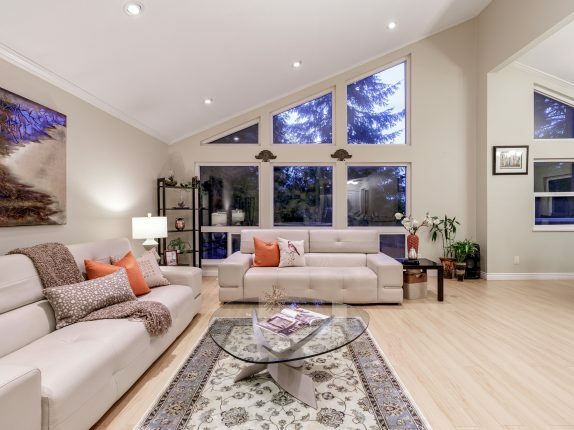 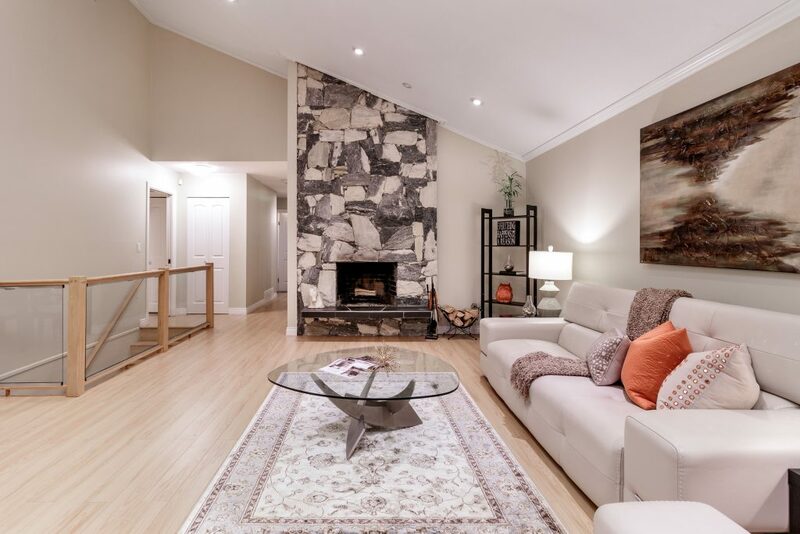 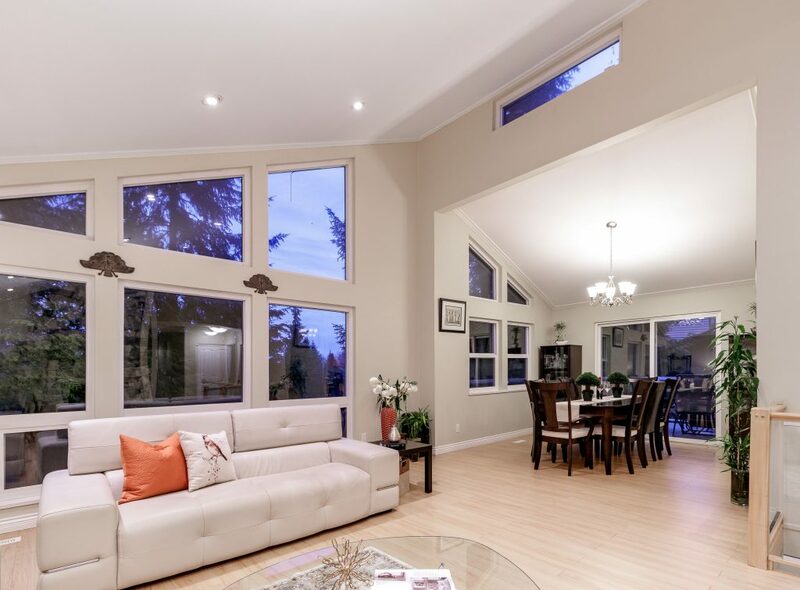 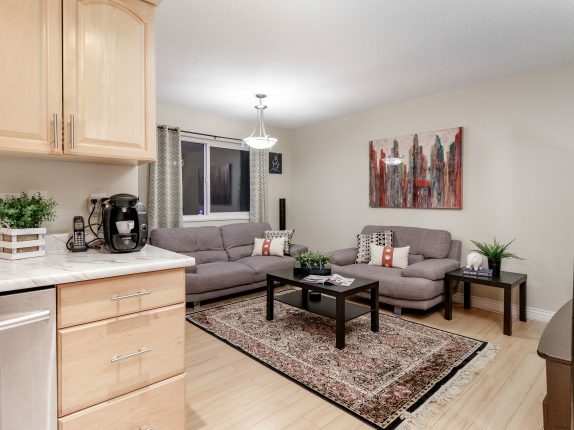 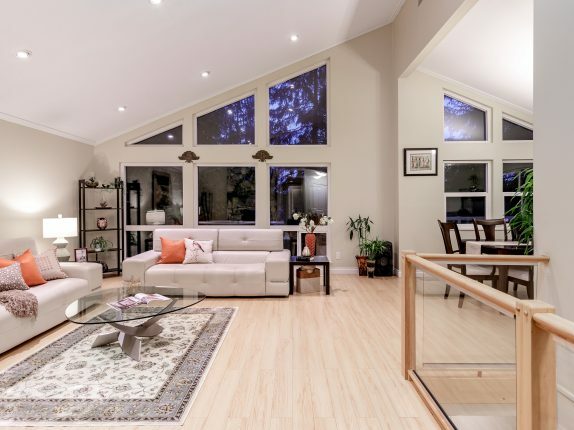 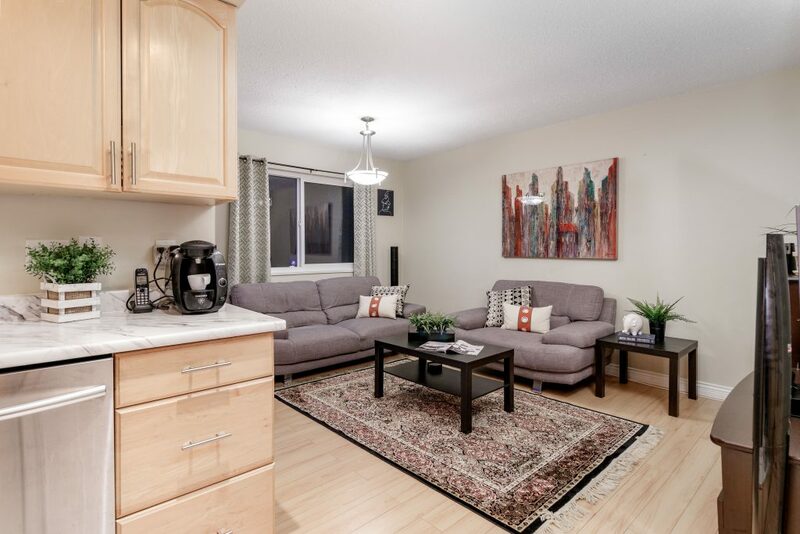 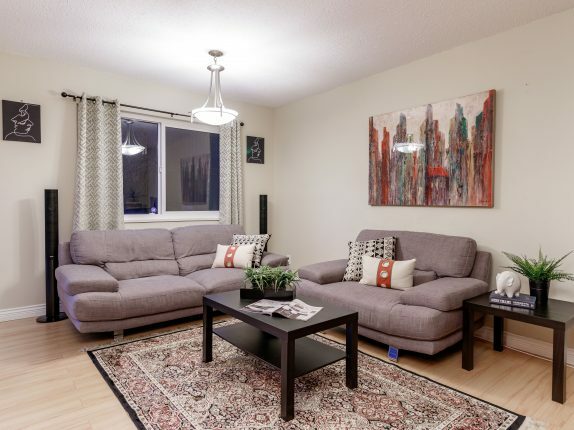 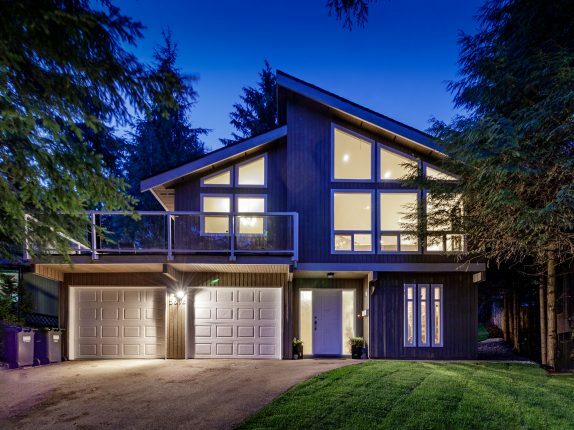 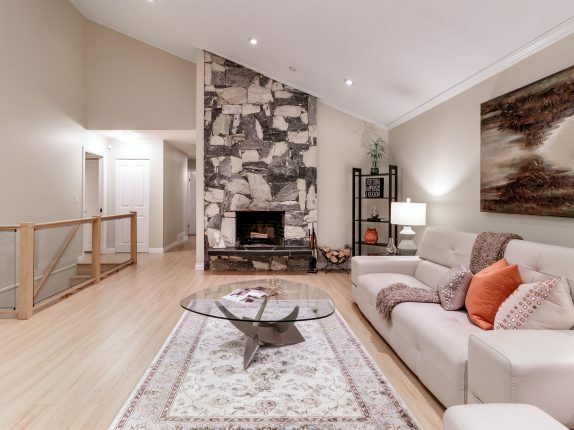 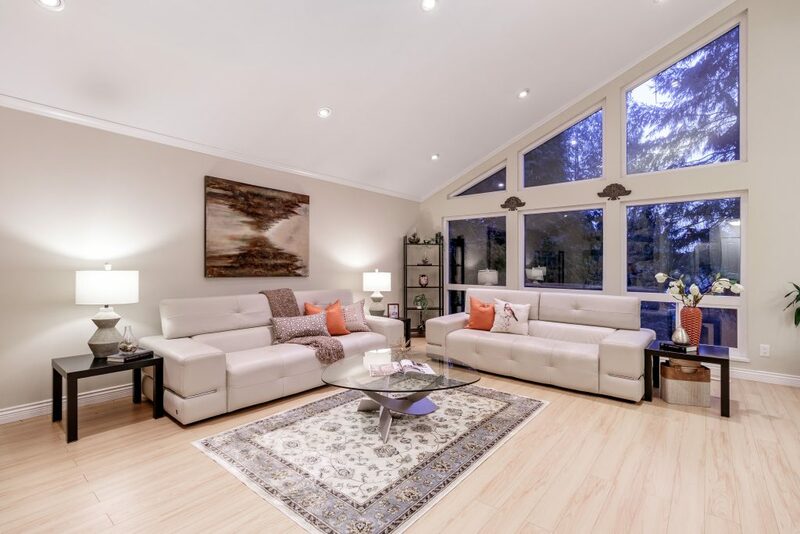 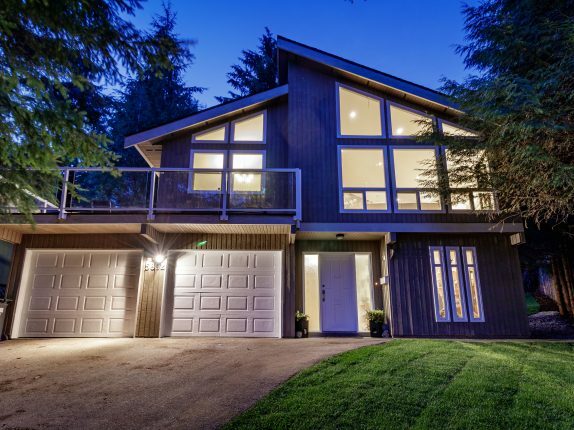 You will fall in love the large, open living and dining room with striking, high, vaulted ceilings & large glorious windows that lets in the gorgeous south-facing sun all day long. 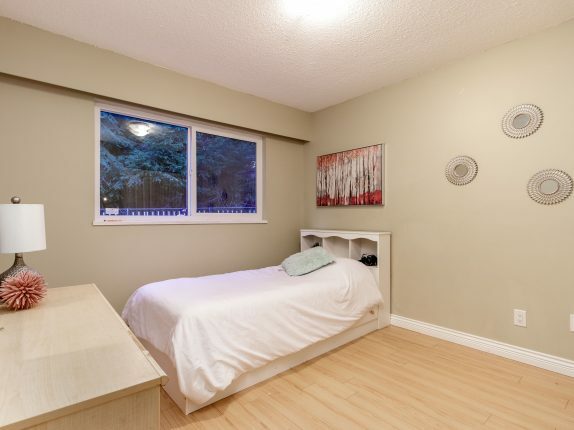 Lots of updates here with new windows, flooring, paint, furnace & hot water tank. 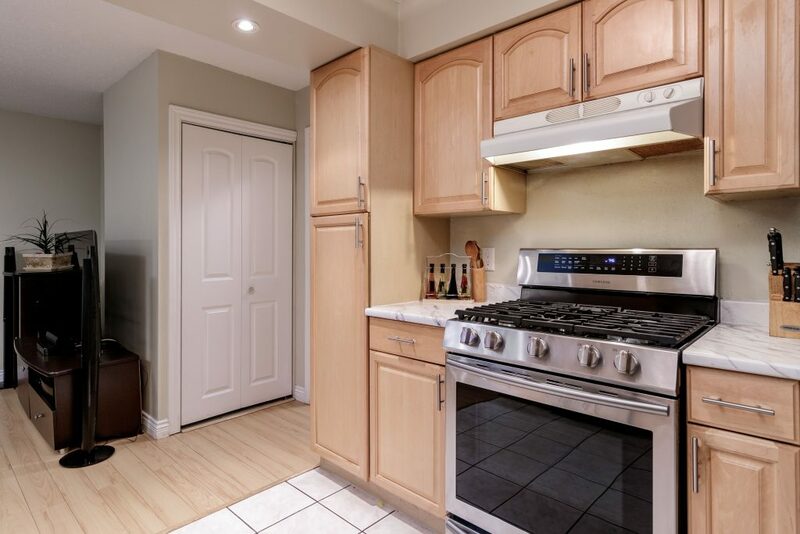 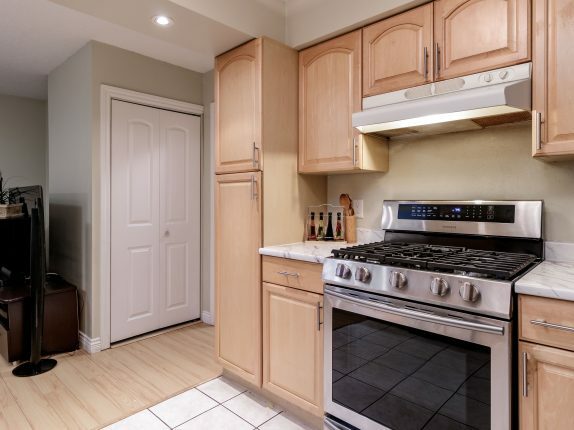 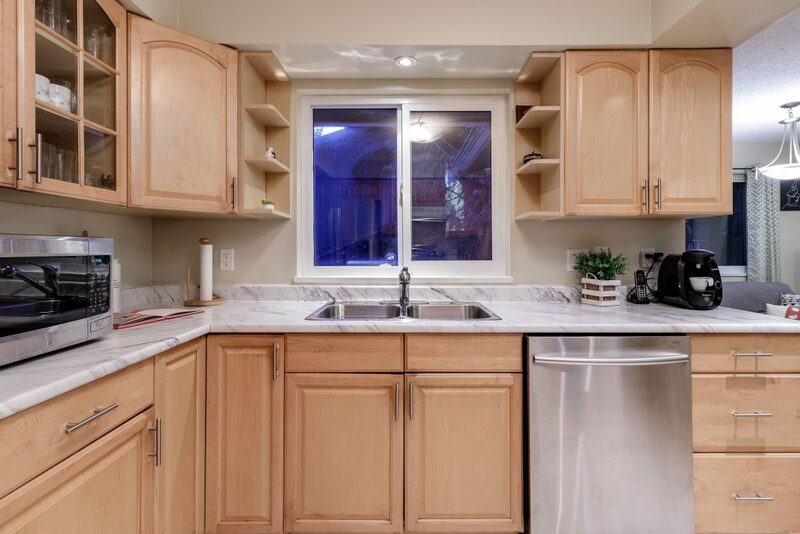 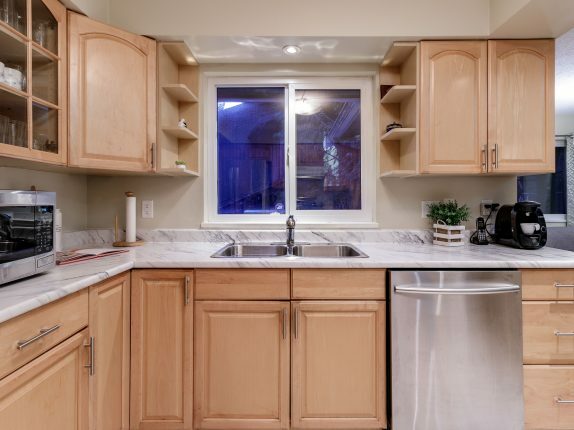 More updates in the kitchen with new stainless steel appliances, as well as more updates in the bathroom. 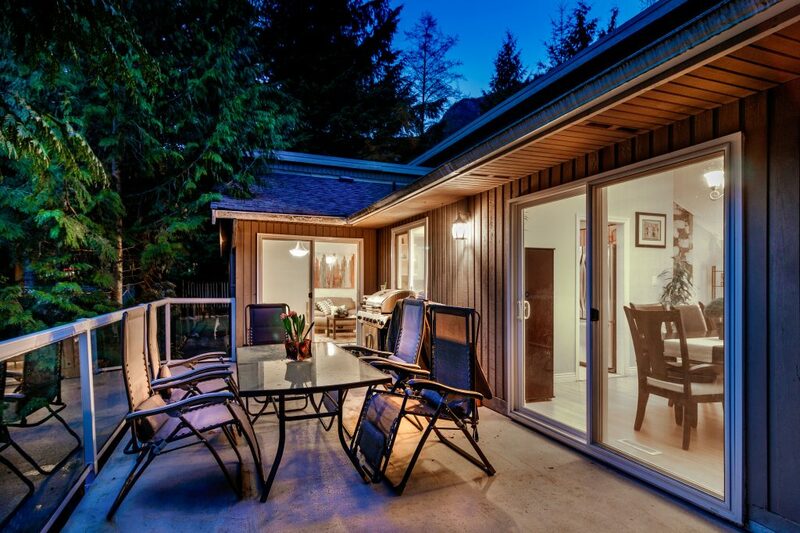 From the living room or the family room, enjoy access to the large, sun-soaked, yet extremely private sun deck. 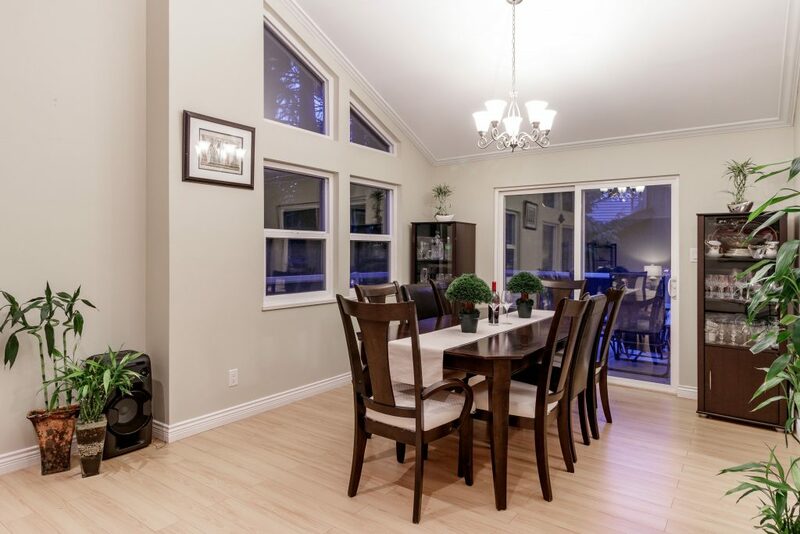 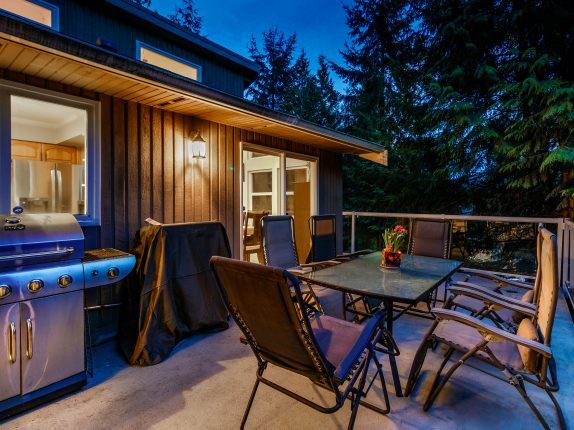 You will spend many an evening there enjoying dinner or entertaining. 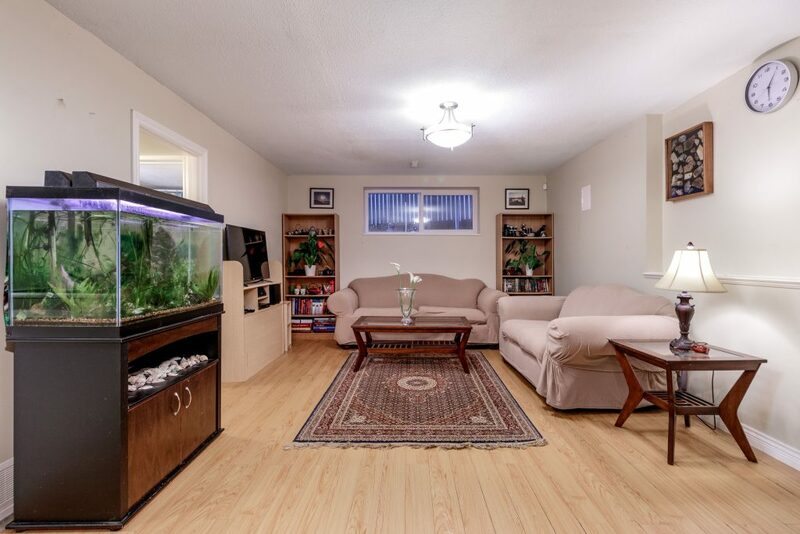 3 bedrooms on the main level and 3 bedrooms (or 2 + office) down. 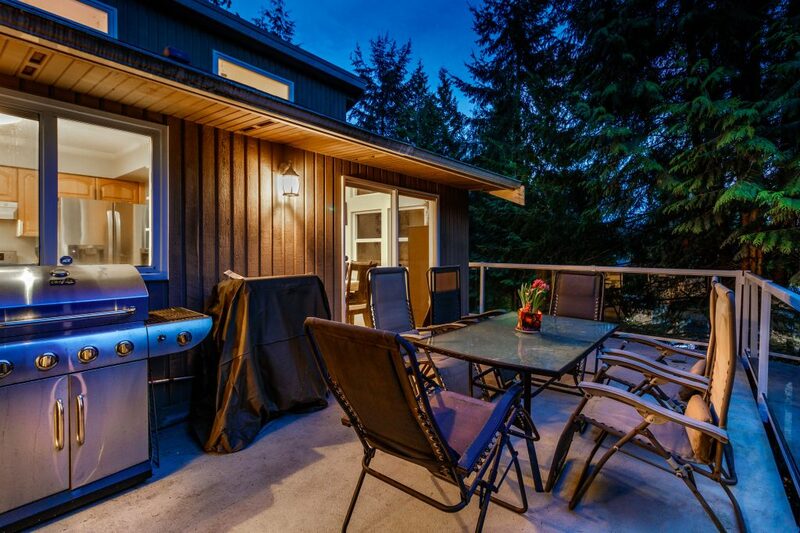 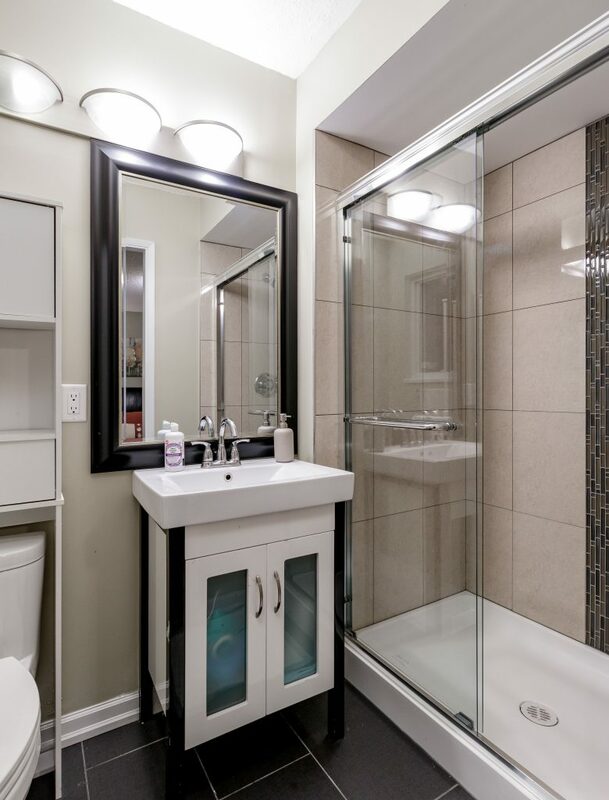 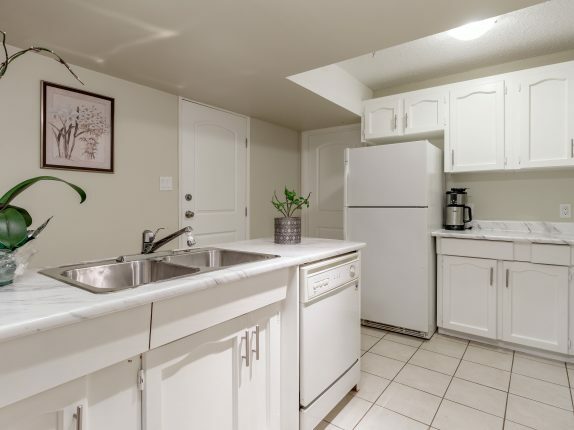 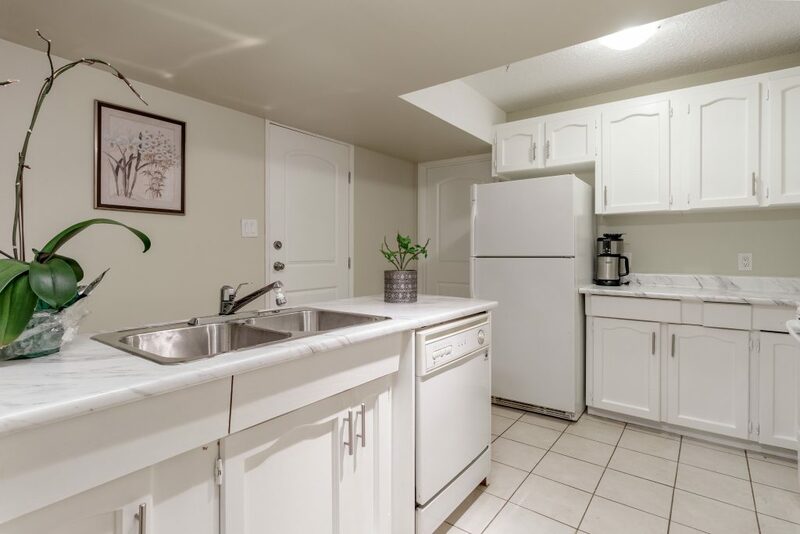 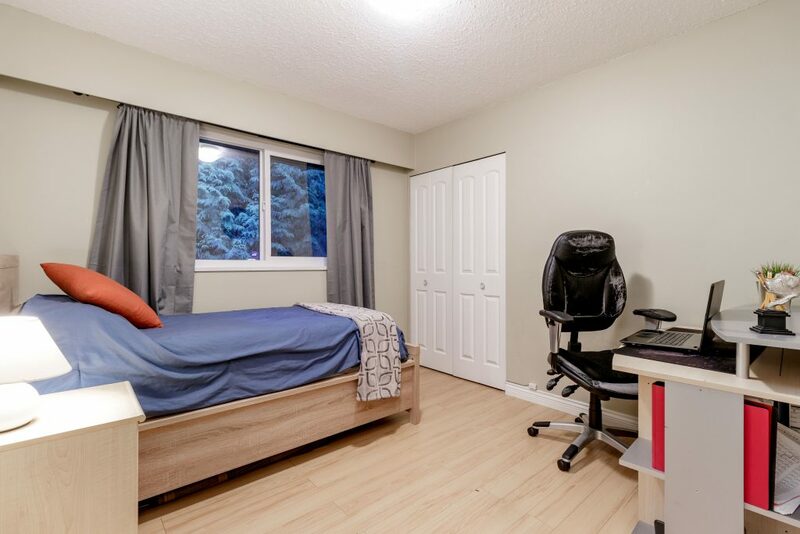 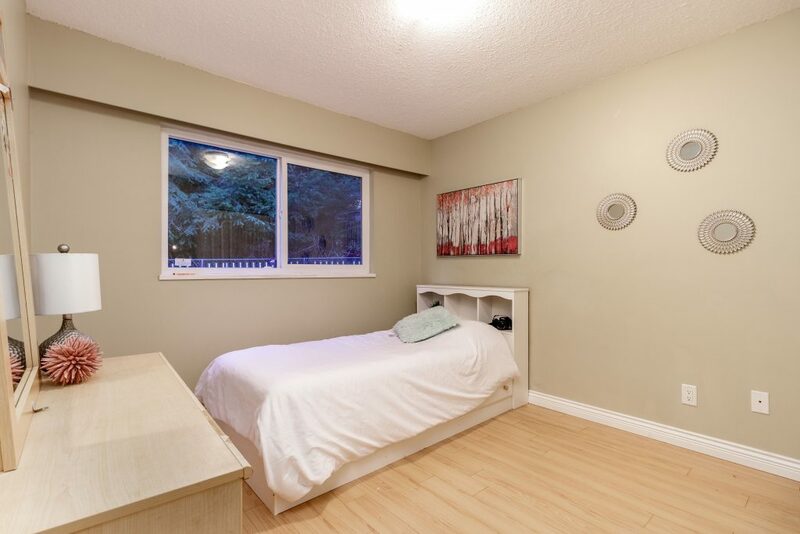 This above-ground suite below potentially provides an outstanding mortgage helper or room for even more family. 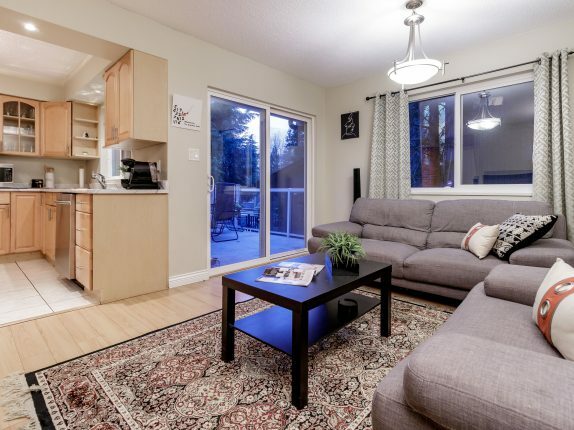 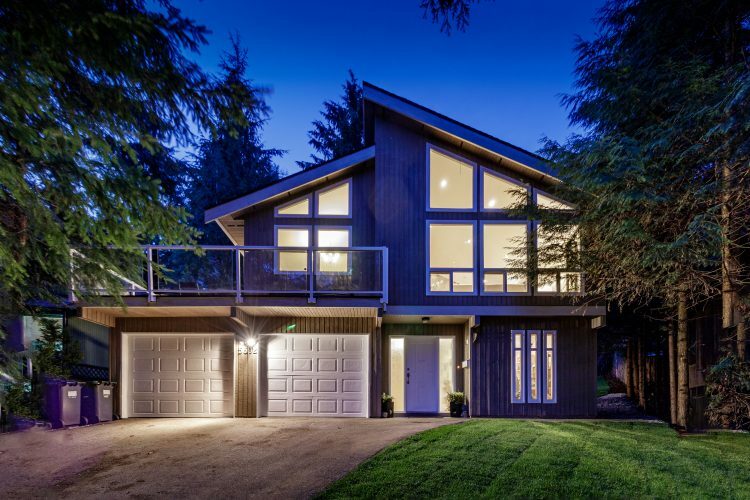 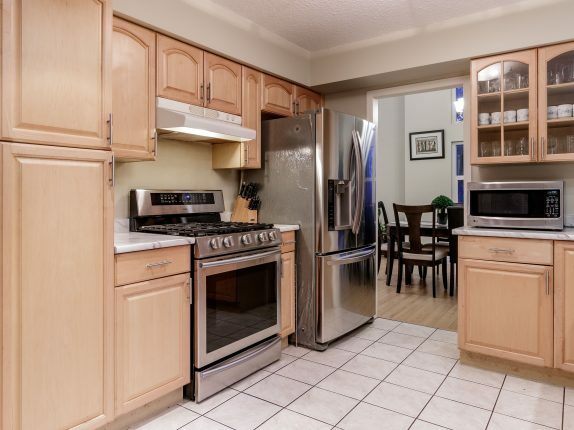 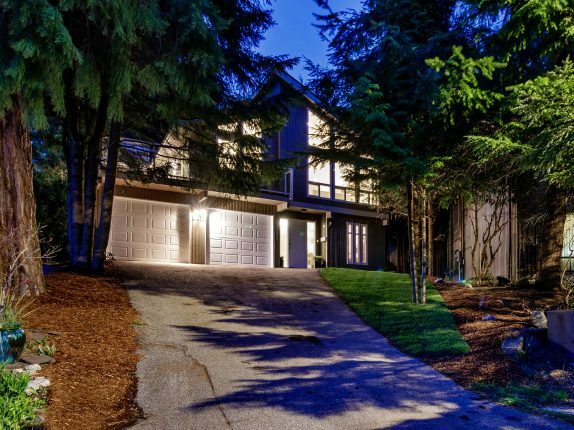 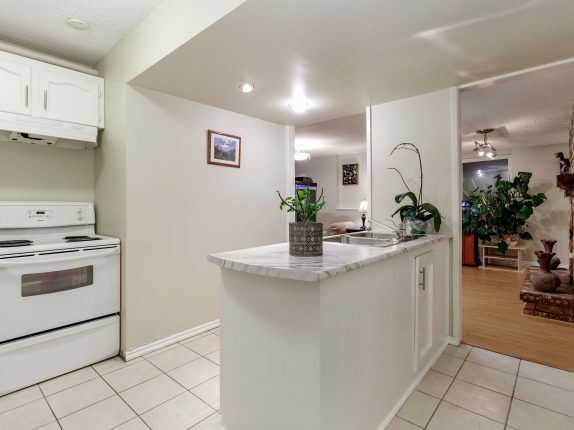 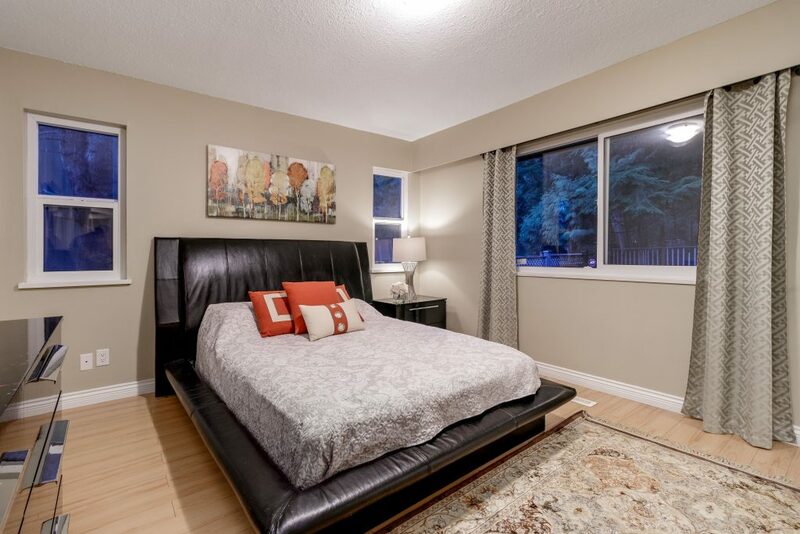 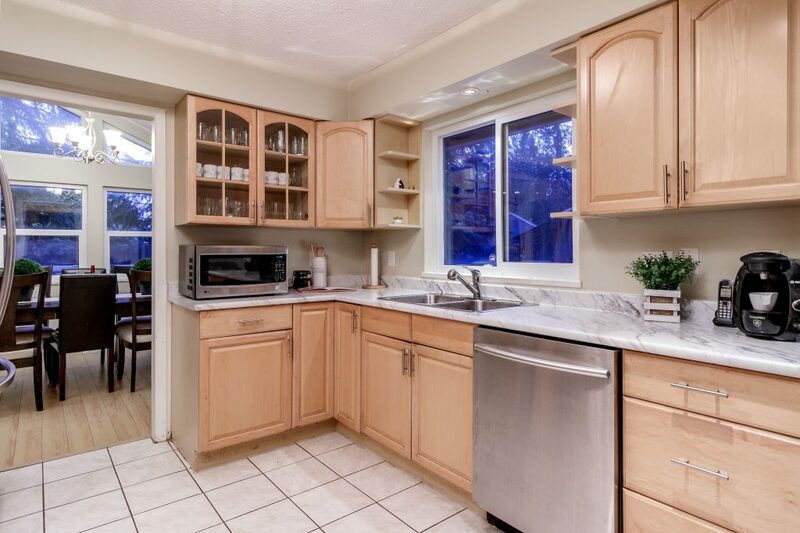 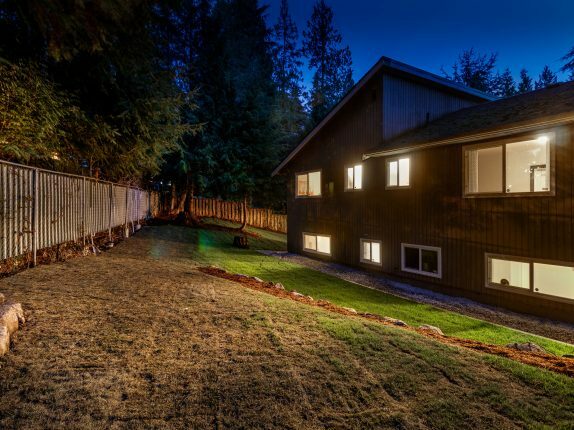 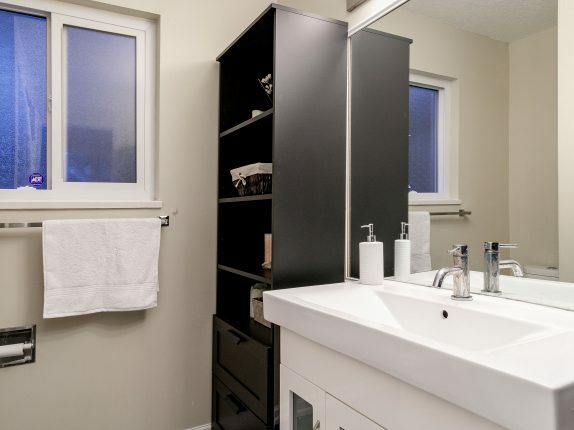 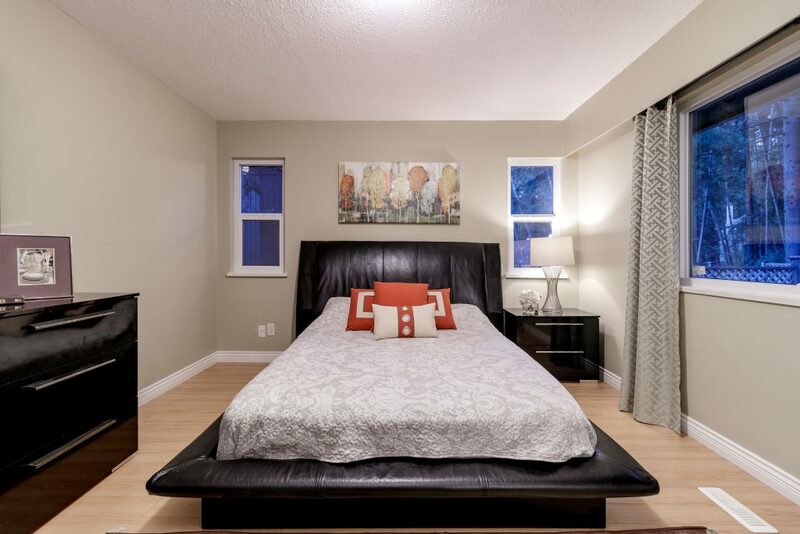 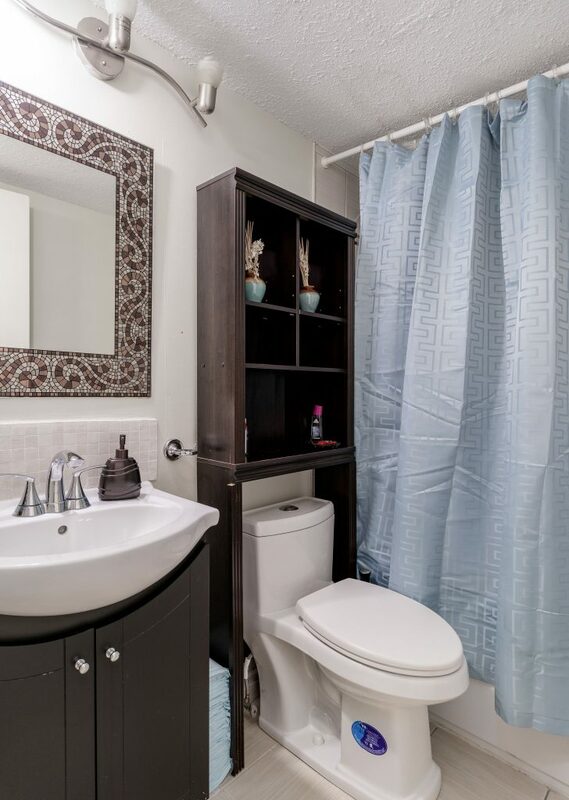 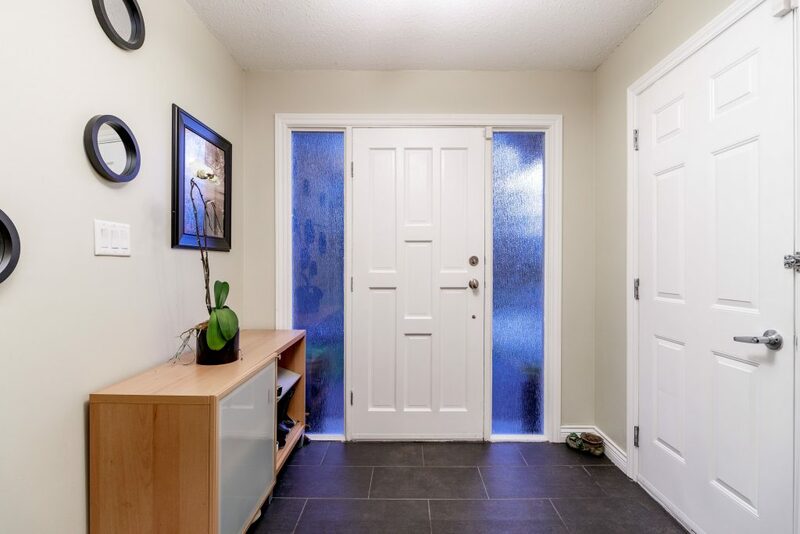 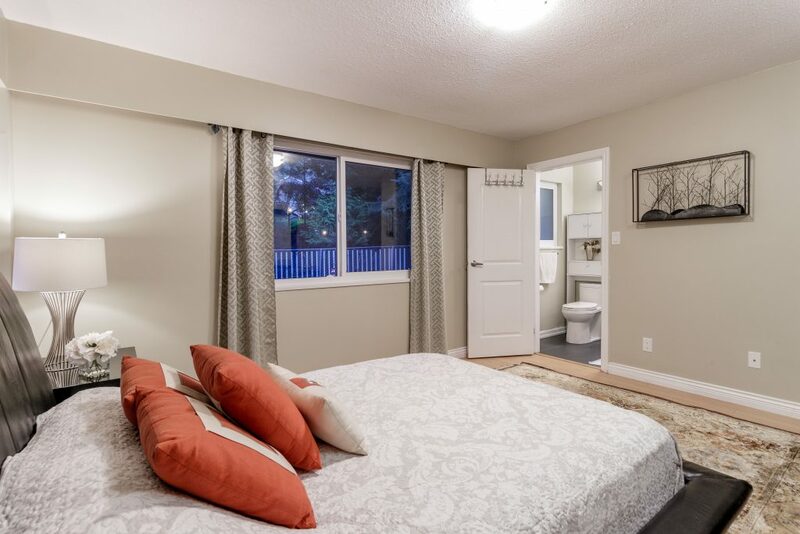 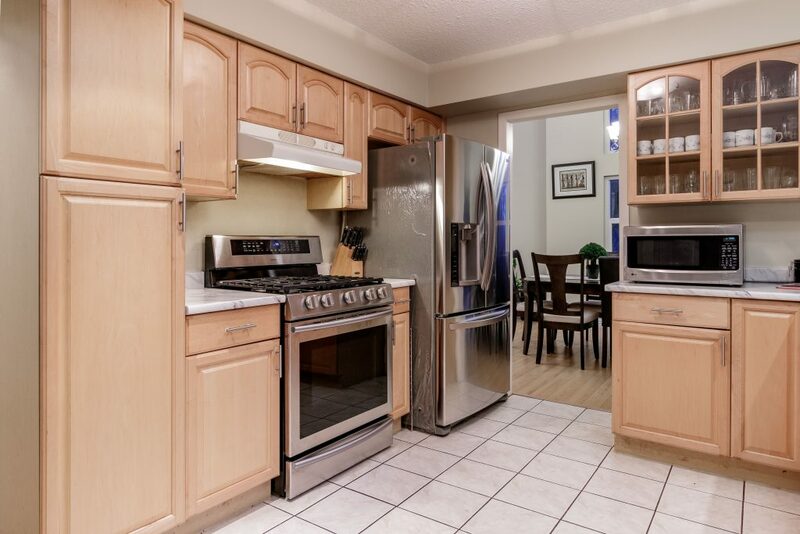 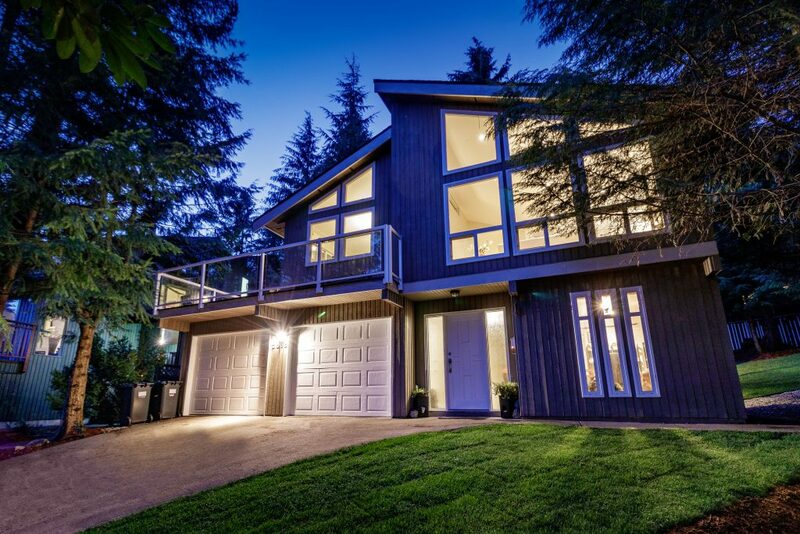 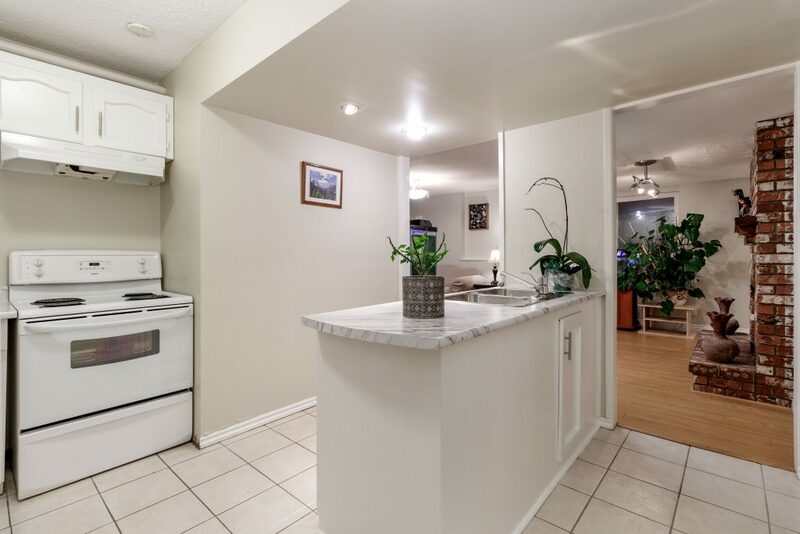 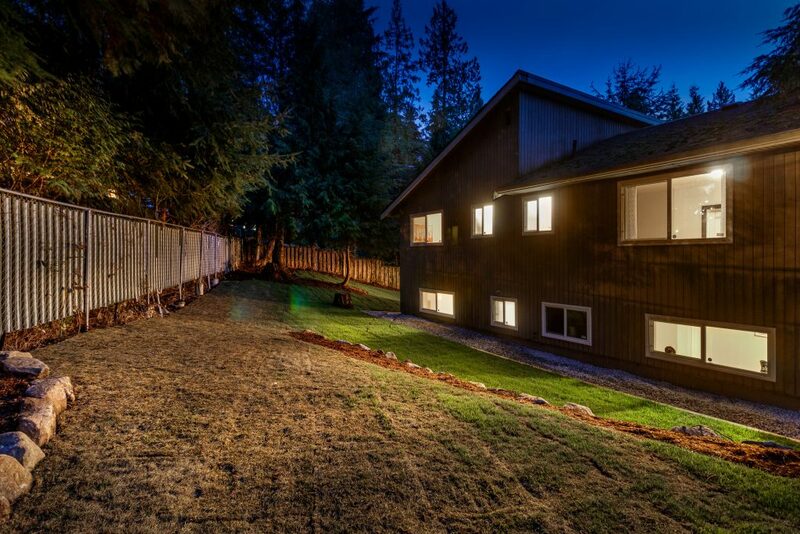 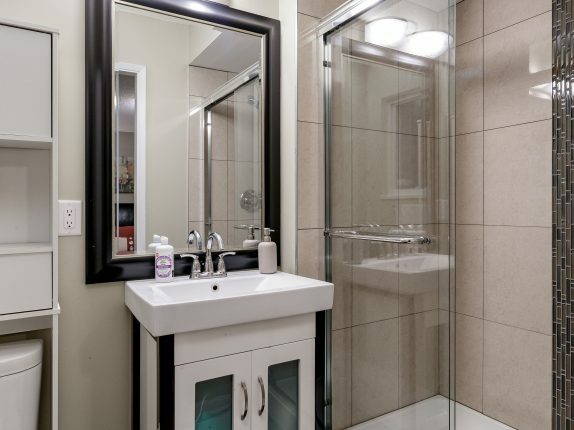 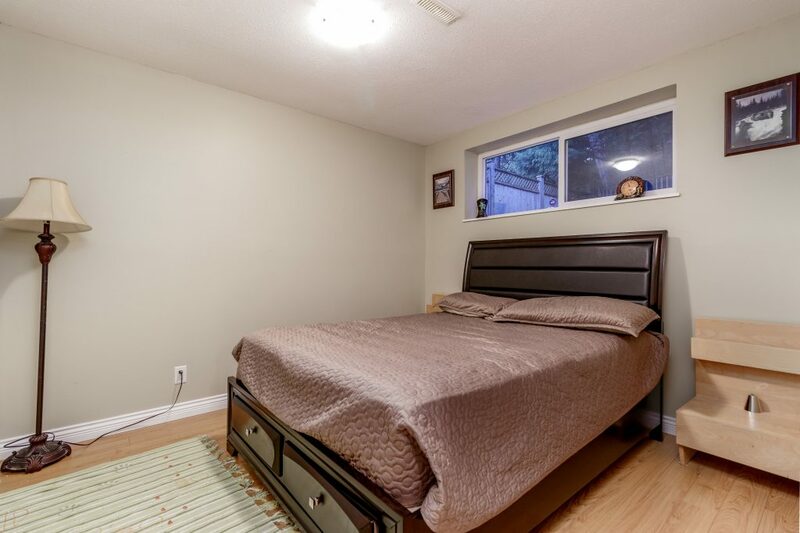 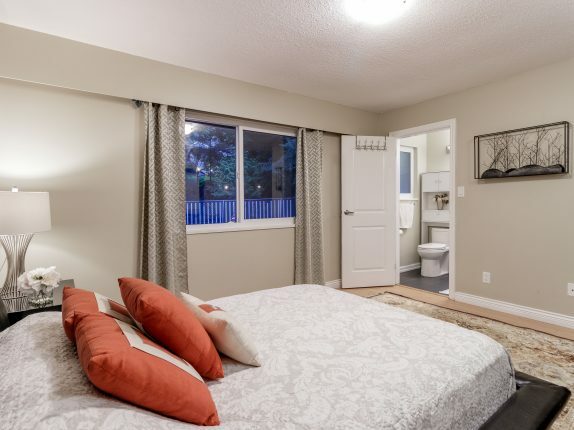 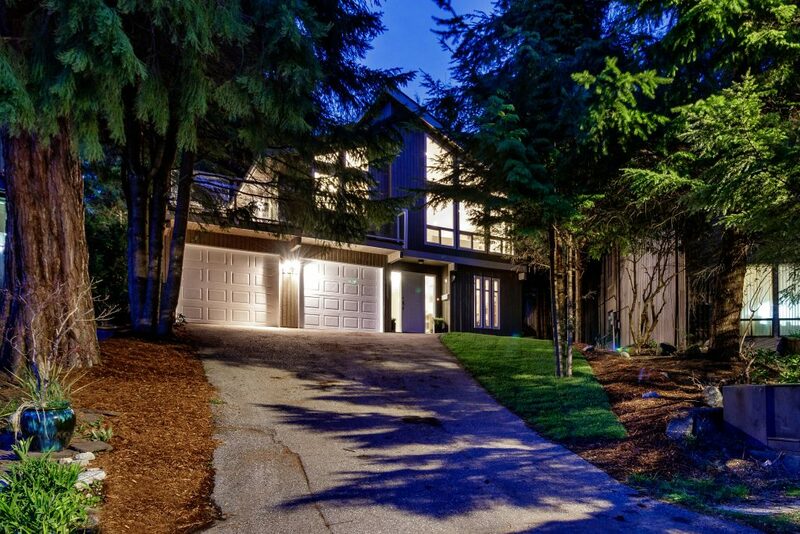 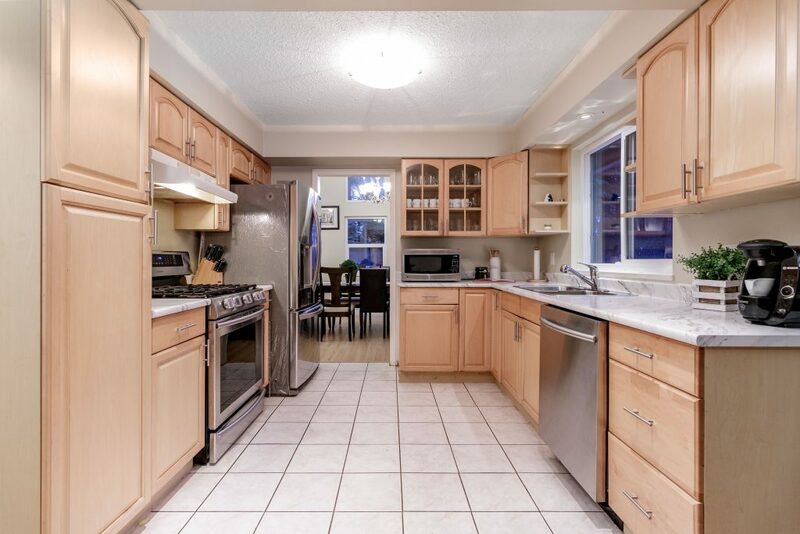 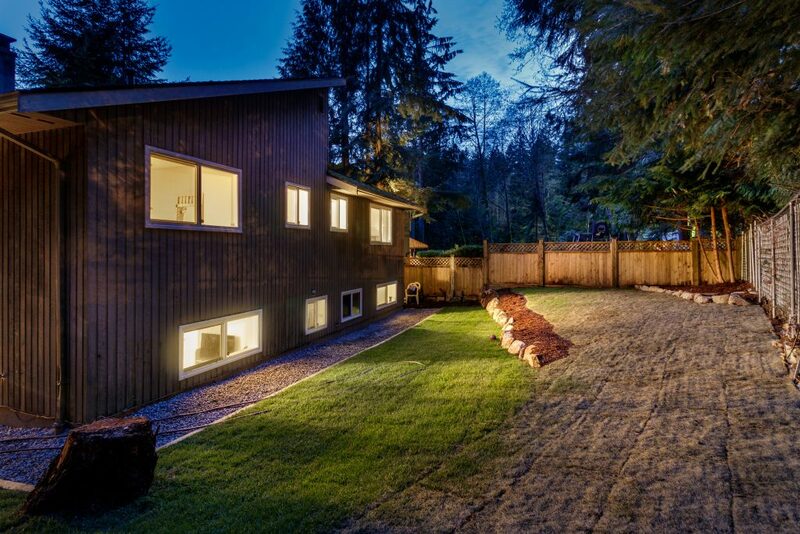 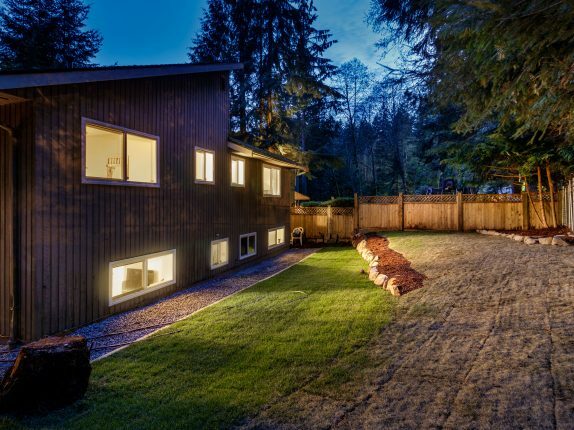 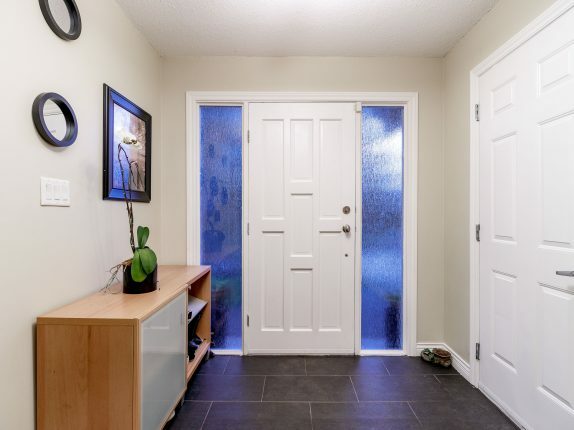 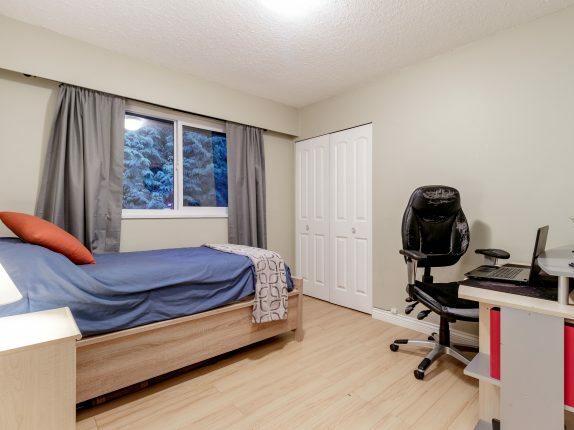 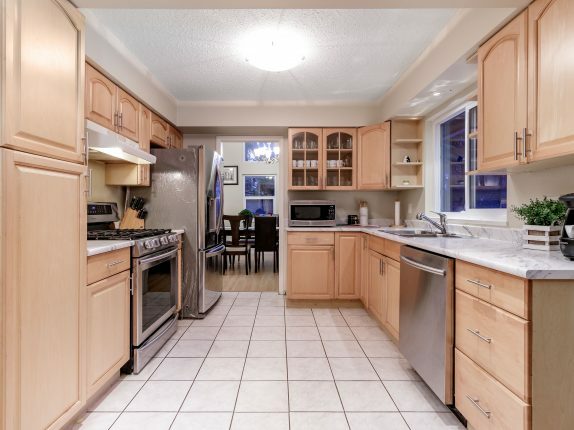 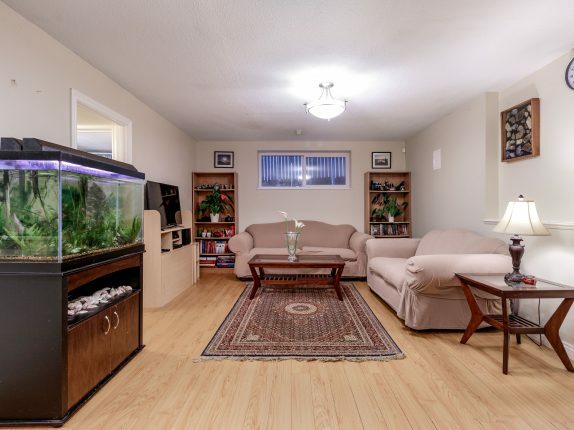 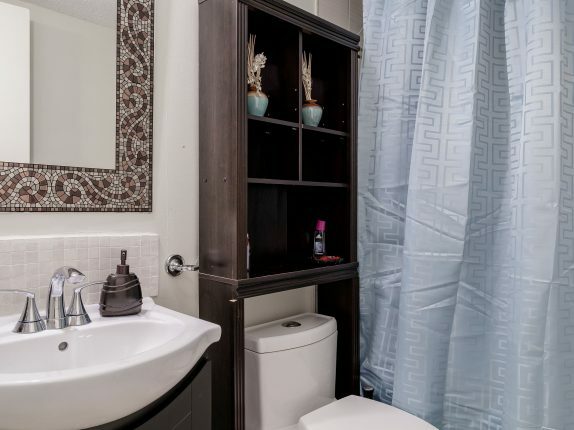 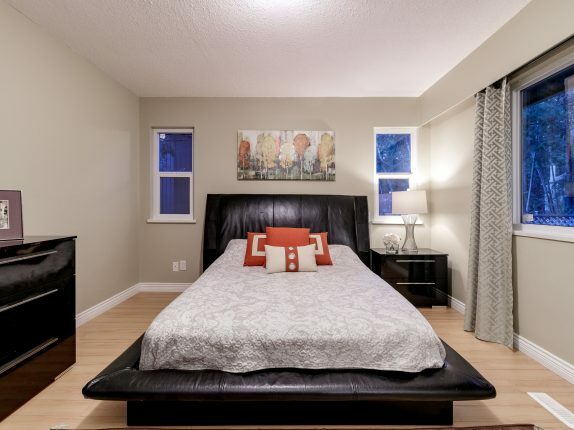 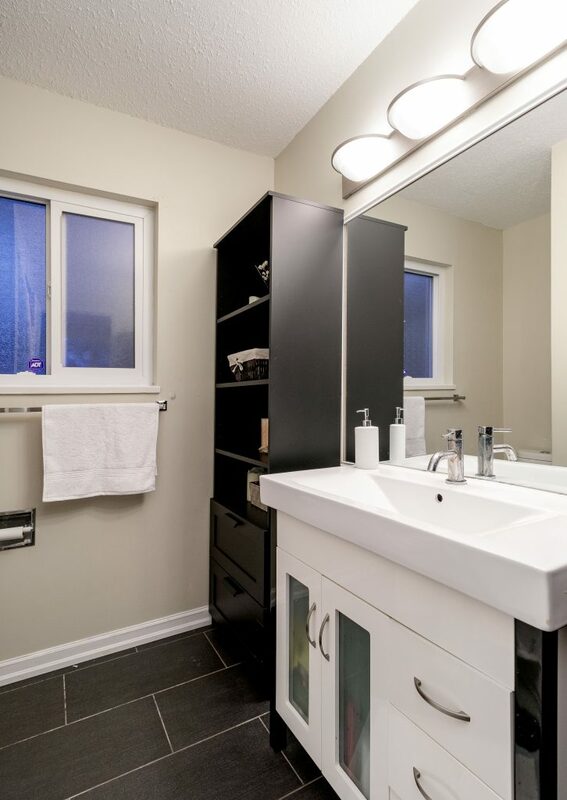 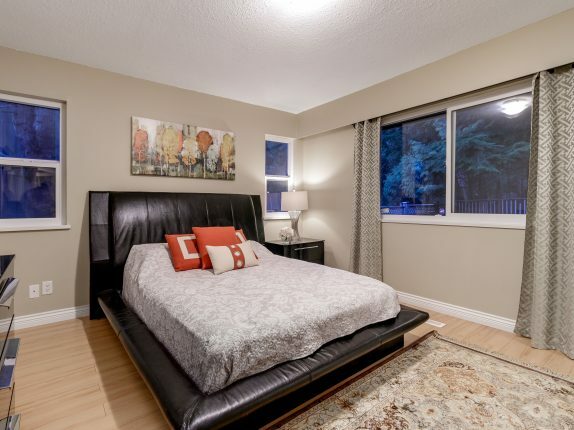 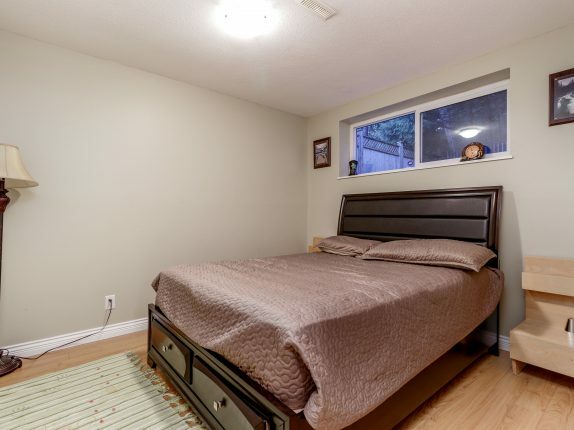 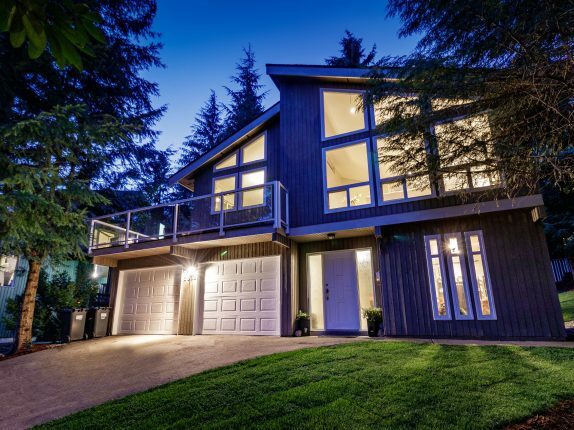 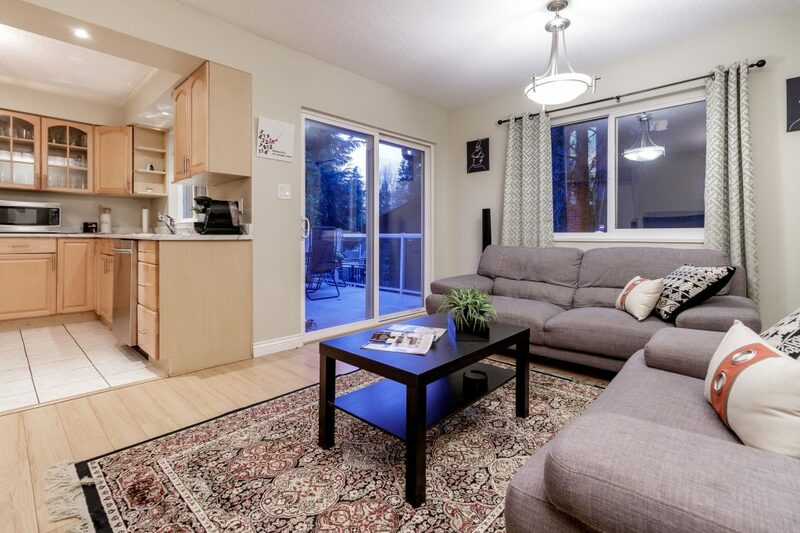 With large double garage & lush, grassy backyard, you will be very pleased here. 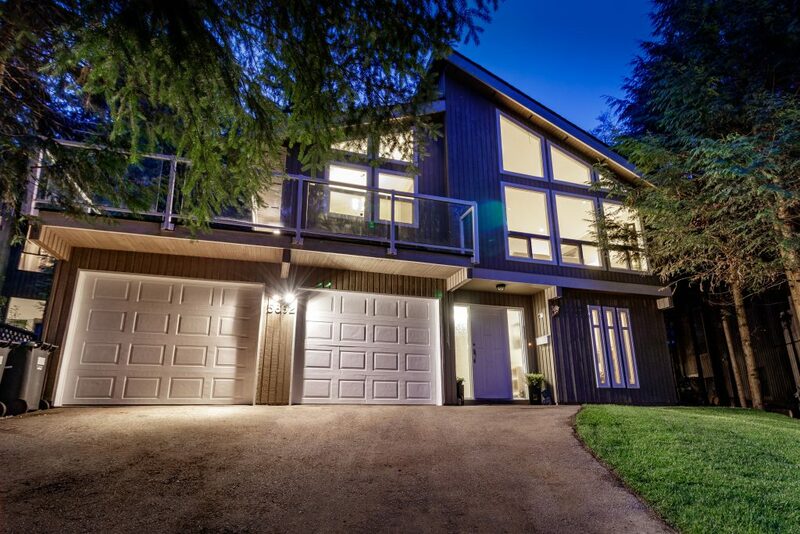 Walk to Montroyal Elem School, Handsworth Secondary, Grouse Mountain, endless trails, amazing sushi, pizza & coffee.